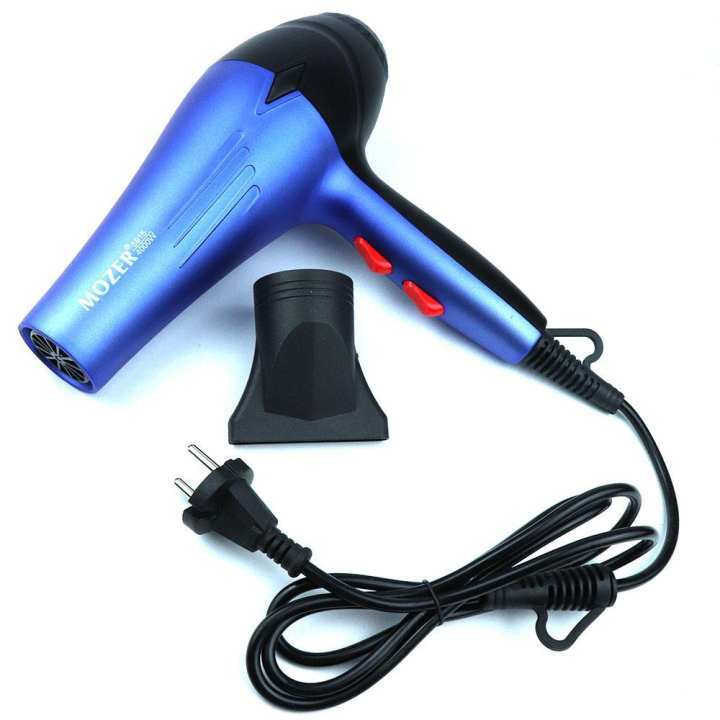 Professional hair dryer for drying hair Mozer 5915, 3000W. Functional hair dryer for professional use has an elegant ergonomic design, reinforced electric motor, convenient location of controls. The body is made of high quality plastic of high strength. With a power of 3000 watts, the exhaust air heats up instantly. The powerful hair dryer Mozer 5915 is equipped with the latest technologies: a mesh removable steel filter, a powerful electric motor, a thermostat that protects the hair dryer from overheating. The hairdryer has a flawless design, light and compact. Ease of the hair dryer one of important characteristics for long work.